Under the gaze of a helicopter, drone and a throng of police officers, a group of passionate individuals were determined to use their Saturday morning on April 22 to make a difference for the future of science. 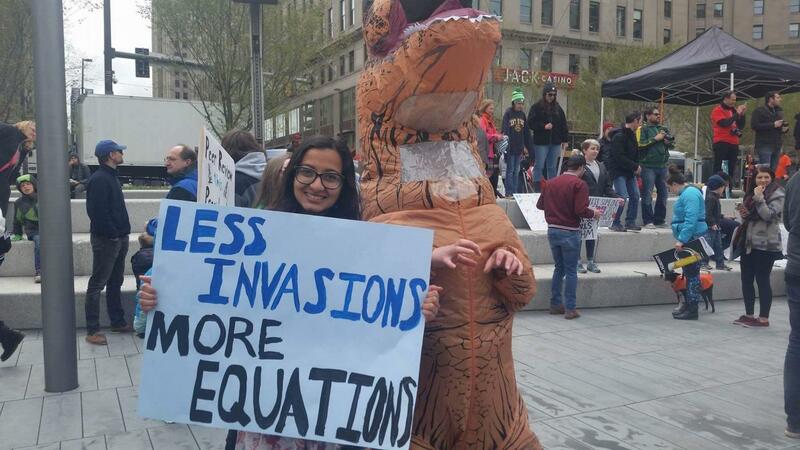 Many from the Cleveland area gathered in Public Square for the March for Science, an event that simultaneously occurred in other parts of the world, including the main march in D.C. The day started around 9 a.m. when those involved arrived in downtown Cleveland to make signs while they waited to listen to speeches and participate in a three-hour march. The day provided many people an opportunity to express their care for science, whether with costumes, chants or clever signs. Also present was a deep concern about comments made in national political figures regarding the credibility of the scientific community. Fourth-year biology major Karthik Mohanarangan decided to go to the protest over a fraternity service event and a car show, both of which he hadn’t missed in the past. 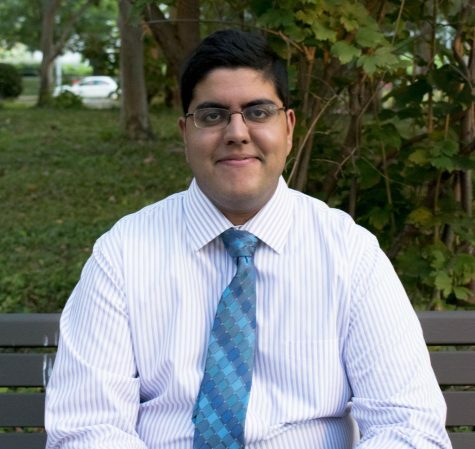 He has co-authored a scientific paper and is planning on applying to medical school. Mohanarangan worries that the public is dismissing scientific literature. He believes that the Cleveland march in particular served to represent the scientific community in the Greater Cleveland area. Mohanarangan pointed out the national and global support the march received, tying diverse communities from all over the world together. CWRU alumnus Steve Wendling, who received a degree in Computer Science and lives in the nearby area, attended the march with his two friends. He is currently working at GE Lighting. 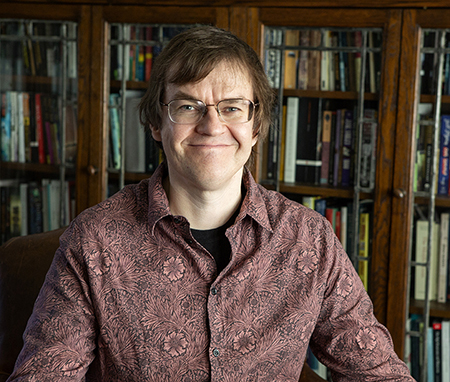 Wendling believes it is important that the government accepts and makes use of scientific consensus. He was concerned that the march might polarize those who are critical of the scientific community. Wendling said that his workplace might not be affected directly by the government’s use of science, however, changes in the government’s policy on visas for skilled workers may affect him. CWRU alumna Swetha Rao attended the parent march in Washington D.C.. She received a biomedical engineering degree and now works at a neurotechnology company. She attended the march with fellow CWRU alumna Ajmeeta Sangani, who also received a degree in biomedical engineering and works at a naval research lab, along with three others who work at NASA. Unlike the Cleveland march, which began at 11 a.m., the march in D.C began a little after 2 p.m.
Rao was anticipating that the march would raise awareness for the importance of institutions such as the Environmental Protection Agency or the National Institute of Health, holding a sign saying “science not silence.” Sangani hoped that the march would positively affect legislation and scientific funding. One friend of Rao’s, Ben Bell, was able to walk next to a celebrity Bill Nye. During the march, he spoke with Nye; those nearby made up chants related to Nye. 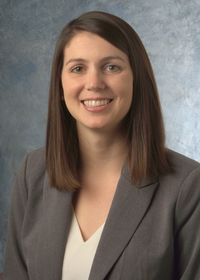 Bell is interested in foreign relations and hopes to become an advisor for the State Department. He, along with many others, enjoyed the march and hoped its momentum would be carry on into the future.